The 2nd Automobile Battalion of the 69th Separate Logistics Brigade (Unit 11385), headquartered in Novosmolinskiy (near Mulino), was involved in transporting military equipment to several areas along the Ukraine-Russia border. The 2nd Automobile Battalion of the 69th Separate Logistics Brigade, especially Subunit 2 (11385-2) located in Kalininets, was involved in transporting Buk systems to several areas along the Ukraine-Russia border, including the June and July 2014 Buk convoys. The 147th Automobile Battalion (Unit 83466), located in Moscow, was involved in transporting Buk missile launcher 232 (in the 23-25 June convoy) to Millerovo near the border with Ukraine and transporting other military vehicles to the border area near Donetsk, Russia. The 2nd Automobile Battalion (Unit 11385) and/or the 147th Automobile Battalion (Unit 83466) were/was involved in transporting the Buk related to the downing of MH17, Buk 3×2 (in the 23-25 June convoy). The 23-25 June Buk convoy went to the Millerovo military airbase, and from there the Buk missile launchers were moved to several different locations along the border. Buk 3×2 was transported via the M4 highway to Donetsk, Russia and subsequently crossed the border through a field south of Severniy during the night of 16 to 17 July. After the downing of MH17, the same Buk missile launcher crossed the border again at the same location in the early morning of 18 July 2014. The 19-21 July Buk convoy went to a military camp southwest of Kamensk-Shakhtinsky, and from there the Buk missile launchers were moved to several different locations along the border. An unredacted version of this report, along with additional information, has been submitted to, and received by, the criminal investigation into the downing of Flight MH17. What a joke… I thought I would find some real information or research on this page – but another blog used for cheap propaganda. We already have the mainstream media for that and don’t need this cheap website. Real investigation looks at any possibilities and clues – concerning MH17, there are many theories out there, which would be worth to look at! Now I will try to investigate what crazy people are behind that blog. Is this some sort of threatening? Well, smart people check sources of information. And yes, if you’re just another paid propagandist for some US-based ‘think tank’, you should cover things up just as weel as if you were working for Putin. No ‘good’ propaganda here, we’re in the internet. Good that you are smart and we are all stupid. And every source not in favour of Russia must of course be fabricated and created by USA, as you say here. Probably those Russians shooting down the MH17 were mind-controlled by Obama’s secret psy-technology. We know who really shot it down. A “rogue element” of the Ukrainian army. KGB agent with investigation? How about facts? From the link above. Respected investigative journalist Robert Parry outlines what happened. Who is U.S. intelligence officals is? Names and their affidavit pls! May be dont mean they do. Even Parry cannot teleport missile from Ukraine to Snizhne so MH17 can got it from ahead. Lie, lie, lie and money its cosortiumnews. No. Robert Parry is a respected investigative journalist. He has some credibility. This explains why the USA refuses to release what information they have. The only one who we know for sure had BUKs and the necessary BUK radar systems were the Ukrainian military. The Americans had satellites right above when it happened, so they know what really happened. But they’re not showing YOU what happened. John Kerry admitted they saw it. What are they covering up? why won’t they release the evidence? Kolomoysky has been removed now because he was behind it. Ah. So it was Kolomoysky who convinced the Russian Defense Ministry to drive a BUK from the 53rd air defense brigade from Kursk all the way to Donetsk, and then to that field south of Snizhne to take down MH17 and kill 298 innocent civilians. Will, I’m not sure why you are doing this, but please stop. In my opinion he burned up all the credibility he had by clinging on to the stories from the Russian Defense Ministry even after they were proven false. Look, not going into big detail: before that tragic event, around 10 ukrainian jets and God knows how many helicopters have been downed by separatists. It is a known fact that ukrainian pilots were just afraid to fly of fear to be downed. Who shot them down, who? I think that’s obvious. The initial suggestion by russian military was that the airplane was shot by ukrainian jet. Proved to be false. We all know it was surface-to-air missile. Now russians say: well, indeed, it was not a plane, but UKRAINIAN missile. Lie, lie, lie!! BellingCat has become nothing more than an anti-Russian mouthpiece. Sad really with such great potential. I read through that whole report over the day and all I take away with me is that the author’s limitations have been exposed. It looks like without any latest Anti-Russian scandal to write on they have rehashed their old work only beefed it up a bit with lots of coulds, possibilities, maybes, probables and possibles thrown in for good measure. In short the article is filled with speculation that require the reader to assume a lot. Take the speculation out and what you’re left with is an article about a Russian military convoy. Looking forward to your report of who else did it. Unlike you and BellingCat I don’t claim to know who did it. Could it have been separatists? Yes. Could it have been Ukr military? Yes. Who do we know for sure had the capability to take down a passenger jet at such an altitude? Ukr military. This whole story of an isolated Buk travelling all the way to Russia, shooting down a passenger plane and travelling back again immediately doesnt pass the bullsh*it test. The reader is asked to rely upon dodgy pictures from anonymous sources or Ukr security services. We are also asked to apply lots of mental gymnastics to make BCats theories even somewhat plausible. Too many ifs, ands and maybes and lots of conspiracies. But for me what the biggest issue for BCat herein and where the author’s limitations have been exposed is their clear, very clear, Anti-Russian bias. Most of their articles are all about Big Bad Russia and it detracts from the credibility of their work. People just don’t buy it anymore. The truth is that as that with things quiet in Ukr and the U.S showing signs of wanting to thaw relations with Russia that BCat is short of anti-Russian material to write about. So we have been given a rehash of old work only with a more blatant and colourful attempt at twisting the evidence to fit the facts. Are the similarities between the Buk TELAR that has been seen in the Russian Buk convoy (Buk 3×2) and the Buk TELAR that has been seen July, 17th 2014 in Ukraine speculation? There are seven similarities that can not be called coinsidence anymore. And is it speculation that the Buk crossed the border near Severnyi when the official investigation (J.I.T.) mentions witnesses that have seen the Buk in Severnyi? Daniel what’s very interesting is BCat’s selective acceptance of witnesses. It seems that if witnesses come forward and claim things that BCat can use to support their theory then those witnesses get the thumbs up. But when witnesses come forward and provide testimony that brings into question BCat’s theories they are plain “wrong”. In the BBC investigation they found several witnesses that said they saw a fighter jet overhead. I firmly believe UA airforce was using civilian aircraft as cover to fly sorties in rebel controlled territory so it’s likely these witnesses did see what they said. But during a recent Twitter debate Higgins was pressed on the BBC witnesses and he said ‘they are wrong”! So consistency needs to be shown here. Witnesses prove nothing on their own of course. We know both the rebels and UA government have been put forward, what can only be described as, colourful witnesses at times. So yes it is speculative to place trust in alleged witnesses who have alleged to have seen something. I stand by my assertion that the above article consists of a plethora of speculative content requiring the reader to significantly trust the authors judgement. It almost seems as if BCat have invested their all into their MH17 theory and are desperate to prove the case. You want us to believe a Russian Buk crossed into UA all by itself, Shot down MH17 and on the same day crossed back into Russia. To support this conspiracy we are asked to trust a photo, that could have been taken at any time, along with other pictures supplied by UA intelligence services, to take at face value alleged witnesses and then to place a lot of trust in an author who clearly is no fan of Russia writing on a blog that is known for its anti-Russian sentiment. Many witnesses have come forward: witnesses in Chervony Zhovten who claim to have seen a Buk missile flying over their village, witnesses in the north of Snizhne claim to have seen the missile launch or a missile flying over there and other witnesses claim they saw a Ukrainian fighter jet near MH17. This demonstrates we can not base our conclusion only on statements of witnesses. For the launch of a Buk missile to the south of Snizhne are a lot of clues: a vdieo of a Buk driving in that direction, tapped phone conversations of separatists transporting a Buk to that area, a photograph of a smoke trail pointing to that area and a burned field to the south of Snizhne that was not burned 16 july 2014. For the Ukrainian fighter jet are no clues at all apart from those statements of witnesses, which indeed we can have strong doubts about, since how can it be possible to see a fighter jet on a height of 10 km. behind a cloudy sky? Apart from that the fighter jet image provided by Russia has been debunked: it was a cheap forgery. Official research also already has proven MH17 was not shot by a fighter jet, but by a Buk missile. Russia now changed it’s version of their story and moved from the fighter jet to a Buk missile fired from Ukrainian territory. How is it possible people still would believe this after their fighter jet forgery? For a Buk missile fired from Ukrainian territory there are no clues apart from a few satelite images provided by the Russian MoD. People have been interviewed in the village Russia claims a Buk missile would have been fired from, but nobody seems to have seen or heared anything. You are right with your quote: it doesn’t make sense Ukraine would have used a Buk system, since the separatists did not use fighter jets or transport planes. The separatists, however, were shooting with Manpads at Ukrainian fighter jets the days before, downed an AN-26 plane July 14th (2014) and tapped phone conversations made clear a Buk was on it’s way, which could be used against the fighter jets and transport planes. This so called analysis of Bellingcat demonstrates that incompetent people should not stay anywhere near complex investigations. The BUK standalone vehicle with a launcher has a narrow beam target radar which has a range of about 40 km or so. This standalone vehicle does NOT have a medium range 360 degrees detection radar. This means that someone who fired this Buk must have had information in advance about the flight path or a 360 degrees radar unit in place to find a target. NEITHER can be said about the separatists. They had no idea of the flight path and had no unit with 360 degrees radar. Maybe you guys from Bellingcat are so smart to give us an idea how the separatists Buk TELAR’s (Transport Erector Launch + Acquisition Radar) with on-board 9S35 Fire Dome radar can possibly acquire and track an approaching unknown target in some magical way well beyond the radar’s known acquisition range of 40 km, then fire off a 9K37/SA-11 missile at the maximum extent of its range – all in time to drop the targeted aircraft 15 km in front of the launch vehicle. You guys have no idea what you are talking about. A TELAR with narrow bean just could not do this job. You are chasing one vehicle without an understanding that this vehicle cannot do a job because of the above. A single launch unit does not have a 360 degrees radar. It has a H/I-band fire dome monopulse guidance and tracking radar. The seperatists did not have a full SA-11 system (TELAR (9A310M1), Loader/Launcher (9A39M1), Surveillance Radar (9S18M1), and Command and Control vehicle (9S470M1) which are all representing elements of a Buk system capable to find a target from a long distance, give directions to a launcher, turn the launcher with its narrow beam to the required direction and fire. They only had the TELAR (launch vehicle with the guidance and tracking radar with a narrow beam). It was an overcast day so visibility was nil with a plane flying above the clouds, therefore seps could not fire just seeing a plane also. So, you Bellingcat non-technical people still don’t understand what the ^%$# this is all about. Now we will look at the Ukrainian side of the world: a complete Ukranian Buk battery was deployed around Donetsk at that specific time. The command center had 9L13 Nemo 3-D radar and a 9S18M Kupol Tube Arm/Snow Drift search and acquisition radars. There were three fire batteries, each with their own 9S18M Tube Arm/Snow Drift radars, and each with nine launch vehicles (six TELARs, three TELs). That gives them about 160km of full targeting and acquisition radar coverage and 27 launch vehicles (26 if you don’t count the supposedly captured #212 from base A1202) around Donetsk. Russia reported that there were actually nine Ukranian Kupol radars active and operating in that area on July 17th – nearly an entire Ukranian SAM brigade. After MH-17 came down, all their Kupol radars were turned off. Rings the bell???? It certainly does. If you guys from Bellingcat still don’t get it, I will tell you more. •	Metal particles from the explosive part of the Buk must be sitting in bodies. They do not evaporate. They hit the plane and some of them are left in there. Any autopsy results that they are found? No, otherwise we would see them already at press conferences screaming about bad separatists. •	Buk systems have objective control recorders, i.e. some sort of recording equipment keeping records of commands, launchers, etc. Anybody asked to examine such systems for the Ukrainian Buks? No. So, nobody asked Ukraine to provide their recording equipment from Buks to rule out an option that Ukr nazi army is responsible. •	Buk missiles or in fact any other SAMs do not evaporate when exploded. Hundreds of small particles of SAMs would reach the earth and found on the ground. Looking at them, it is possible to find out the parts numbers and chase who got them from the manufacturer and when. Anybody told us that such parts are found? No. •	Any satellite images from the USA that a BUK is staying on firing position? No. This list of questions goes on and on and if you non-experts from Bellingcat want to know the truth, you should not distribute gossips based on social media but rather answer those questions first. Also, your inability to understand the structure and capabilities of stand alone Buk versus a Buk battery with 360 degrees radar shows how incompetent you are. Sorry guys but this is the truth. Andrew, you are wasting space with your stories that the ‘separatists’ could not have done it. 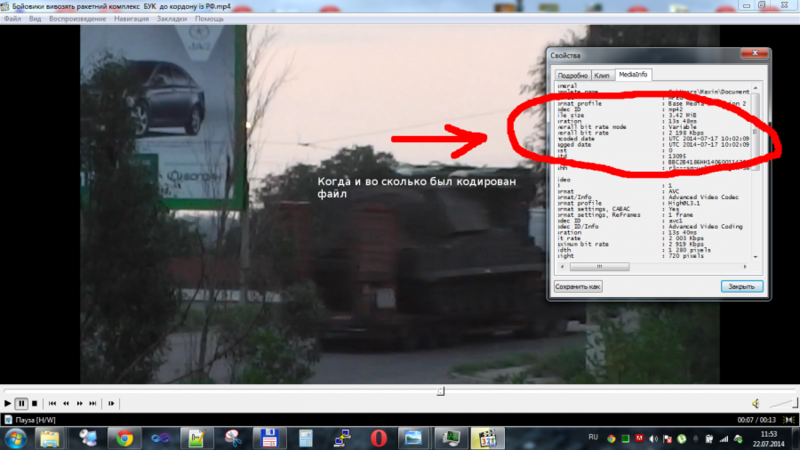 The evidence that Bellingcat revealed shows that the BUK was from Russia, with a Russian crew. Andrew is not wasting his time. He asks some very good questions? I am interested to see what answers Bellingcat has. Have not seen you around here yet, Sinon. Are you another one of these couch potatoes that want Bellingcat to answer to red herrings and straw man arguments ? Or will you actually engage and do some work. For starters, does Andrew here state a fact, or an opinion ? Rob, it is evident that both you and Bellingcat have no idea how Buk operates. Also, what makes you think that this Russian TELAR from the 53rd BUK brigade was not in radio contact with the 53rd BUK brigade units documented in the Kuybyshevo area, some 10 km away from the the launch location south of Snizhne. Actually Kuybyshevo is more like 18 kms away from the supposed launch site agreed upon by Bellingcat and Ukraine@war, any other site than that would make the “smoke photo” an obvious fake. 18 km to the town of Kuybyshevo. 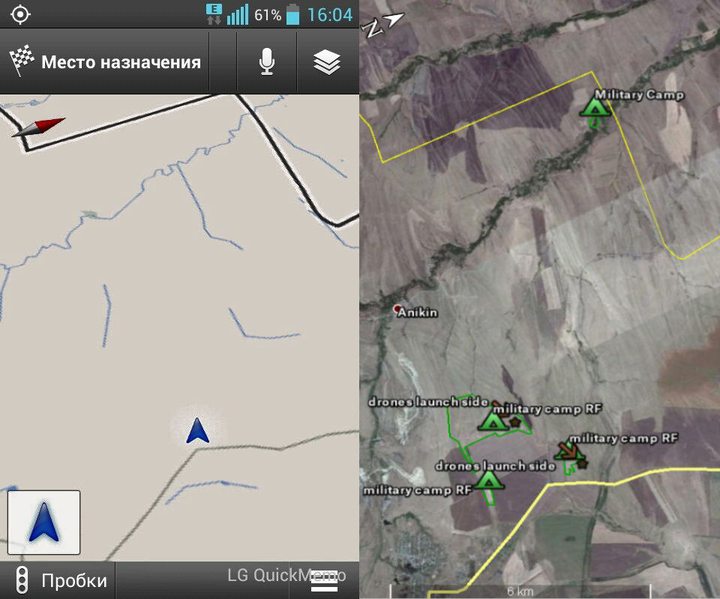 10 km to the border and the start of the Kuybyshevo area. And thank you for acknowledging that the ukraine@war / Telegraph site south of Snizhne is indeed the only remaining launch site that matches with all the available evidence. I would very much be interested in reading a response from BCat on Andrew’s seemingly knowledgable and fact based points. Phil, is that because you are incompetent, or because you base your opinions on authority ? Also, if Andrew feels “seemingly knowledgable ” to you, can test his statements yourself with whatever you find with, say, a simple google search, or will you just sit there on your couch asking Bellingcat researchers to do the work for you ? Unlike you Rob I am a professional. You did not say any single word regarding any point I made. Bellingcat did the same. To me this means you have no idea that shrapnel must be in bodies, you have no idea that the remains of Buk must be on the ground, you have no idea that such remains have part numbers and hence it is possible to understand where they are coming from, you have no idea that such systems have recording equipment which must be verified that Ukr Buks are not responsible, etc etc etc. We know that a Buk M1 TELAR should not operate without support of a radar and control unit and there is enough technical expertise here (read our Launch Location report for details). The separatists had contact with each other just simply via mobile phones connected to the Ukrainian network, that’s why phone conversations could have been tapped. One conversation makes clear separatists in one area mentioned a plane coming in direction of the Buk missile launcher (remember they said ‘a bird is coming to you’). A 40 km beam target radar is enough to spot the plane, especially when the direction it comes from is already known (and a Ukrainian transport plane likely was to come from the west) and the plane was just 15 km away. Since they indeed did not have the full Buk M1 system including the radar and control unit, they had no information on their system what type of plane it was. The full system has a ‘friend-or-foe’ detection and if they used this they would have detected a passenger plane. This is why this action can be seen as a war crime: the Russian MoD delivered a system that was not complete and could/should have known a passenger plane could have been hit. They had enough radar data to know passenger planes were still flying over the east of Ukraine. Metal particles were found in bodies of the victims: see official investigation report of the Dutch safety board. The report also proves the plane was hit by a huge amount of small metal particles, which you should know when you read the report. Strange you did not read it, while it is obvious you have a big interest for all technical details about the downing of flight MH17. Despite the fact you have strong doubts MH17 is downed by a Buk missile, you start about researching Ukrainian Buk systems. There are, however, no clues pointing to a Buk missile laucher that would have fired a missile from Ukrainian territory, apart from the satelite images the Russian MoD provided. When we take into consideration the Russian MoD provided a fake satelite image of a SU-25 fighter jet and simply lied about the location of the Luhansk Buk video, we can have doubts about the authenticy of the Russian satelite images. And finally: yes, parts of the Buk missile have been found on the ground by Dutch journalist Jeroen Akkermans, who had them investigated by several international research teams. All of them came to the conclusion the metal parts were from a Buk missile warhead. This was even published by Russian media, who know they are not able to contradict this conclusion anymore, forgot about the SU-25 theory and now have moved to a Ukrainian Buk missile. Interesting that you accuse us of incompetence, while you: 1) did not read the report of the Dutch satefy board, 2) did not follow the news about fragments of a Buk missile warhead found on the ground and 3) do not know a Buk TELAR is capable of hitting a target on a short range of 15 km without a control unit and radar. In your “report”, can you explain how Yomapic helped find that camp and the significance of the “changed date function” in this paragraph. an on-line tool called Yomapic. Yomapic allows you to do searches for geotagged images on a Google Maps style interface. Until recently you could do it by date range, by a recent update appears to have broken that feature. But how did it help you find the camp? What made you look in that area? Did you find pictures of the camp and if sowere they pictures on VK and again what is the significance of the date range. When I did maths at school if I didn’t show my working out my teacher would mark my answer wrong even if the actual end result was right. In a case where you are accusing people of murder a little transparency would go a long way toward making people believe you. Alex tells Bellingcat “a little transparency would go a long way”. The arrogance of these Russian trolls is mind boggling. I’m a British citizen, born and bred Rob with no affiliation to Russia. I am just seeking fairness and truth, which was once a very British trait. The Russian Defense Ministry has been verifiably lying through their teeth, and hypocritically blamed Ukraine using verifiably manipulated evidence. Western journalists like Robert Parry have verifiably followed these lies, and spread misleading and false stories based on anonymous witness statements and opinions, while Mainstream Media reports a “he-said-she-said” argument without actually investigating anything. Meanwhile, Bellingcat and ukraine@war and other open-source journalists use ONLY publicly available evidence, so that EVERYONE can verify every detail of their analysis, and verify EXACTLY how they reach their conclusions. If you find ANY journalist report from ANY news source that is more “transparent” and provides a less biased analysis of publicly available evidence than Bellingcat, then I will take back my remark. Thus, even though you claim to be a British citizen seeking fairness and truth, you are behaving like an arrogant Russian troll denying the Russian lies and hypocritically blame the most transparent news source, that has provided us with so much more information about what happened with MH17 than ANY other source, for not being transparent enough. The date range was significant since we were examining a certain area and discovered a camp on satelite images from summer 2014. So to be sure the area we saw on the satelite image indeed showed a camp, we had to find pictures taken/published around the same date. Ask mr. Higgins who Matthew VanDyke is, and why he kept his mouth shut about the sarin gas Syrian terrorists had in their possesion? 1300 Syrian civilians died, because mr. Higgins choose to keep his mouth shut. And you claim he doesn’t follow an agenda? This project came falling out of the sky, you would say? I don’t think so. I’ve seen the pictures of the fuselage off MH-17, and their is no visible proof that MH-17 was attacked by a SAM missile. Bulletholes, yes, but no shrapnel damage caused by a BUK. So, that leaves the question, why are you hunting for the red october while there isn’t any? And you treat this photo as reliable and think that it proves that Russia gave rebels Buk? What an investigation here! Apart from the Paris Match photograph, the Buk was photographed in Torez, filmed on a road along Zuhres, filmed and photographed in Snizhne and filmed in Luhansk. In Donetsk, Zuhres, Torez and Luhansk the Buk can be seen transported on a red low loader hauled by a white Volvo truck with unique blue stripes. The photograph of Paris Match is not of good quality, but there are no signs of manipulation. Even if it was photoshopped: the photograph was published long before our team discovered the Russian Buk (Buk 3×2) that shows many similarities with the Buk seen in Ukraine. How would the person that photoshopped the image know about the similarities with that Russian Buk, when that Buk was not discovered by any journalist/investigation team before? I specifically said “Russian Buk”. How can you tell based on those 3 videos that it is the Russian Buk? It could be not even the same Buk on all of those videos (though it’s possible that the white truck is the same), let alone that it’s Russian. “There are no signs of manipulation”… Is this one of PM photos? Compare how the back of the white cabin of the truck looks in comparison to Buk: cabin looks crystal clear, but Buk looks fuzzy, weird, unclear, out of place. Look what a mess is under the wheels of Buk. It shouldn’t take an expert to think that something is not right in the photo. The date when it was published, the company that published it (they were caught before), the lack of video (with Buk that you could point out the details or the video where this photo was taken from) and the low resolution, fuzzy, stretched out photo makes me seriously doubt of its authenticity. In fact, if the photo of the “discovered” Russian Buk that you mentioned was on the internet before this Paris Match photo was released, then parts of that photo might have been taken, manipulated and used in this Paris Match specifically to create this “Russian trace” that the “investigators” would soon discover (or in case they couldn’t, someone anonymously would point them this out). There are 3 videos and 4 images of the Buk missile launcher seen in Ukraine, on 2 videos and 3 images the launcher is seen on a red low loader hauled by a white Volvo truck with unique blue stripes. All videos and images, except from the Luhanks video, were published 17 July 2014. How big is the chance a different Buk missile launcher is transported on a red low loader hauled by a white Volvo truck on/around the same date? Close to zero. There are 7 similarities between the Buk missile launcher seen in Ukraine 17 July 2014 and ‘Buk 3×2’ from the Russian 23-25 June 2014 Buk convoy, which can not be seen as coinsidence anymore, especially not when you take into account some of the features already are not that common for a Buk missile launcher, like the H-2200 transport marks both on the side of the launcher as on the sideskirt. The Paris Match photo probably is taken from a driving car, which would explain the bad quality. The Russian Buk was on the internet, yes, but it still took more than a month before anybody discovered this. The chance it already was discovered after 4 days (after the downing of flight MH17) together with a picture taken of a Buk missile launcher in Donetsk, being photoshopped so it would look similar, while some of the same similarities are seen on other videos as well, is again close to zero. And then the manipulators would just sit and wait for a whole month before being discovered by Bellingcat instead of publishing the similarities between the Russian Buk and their photoshopped version in Ukraine? That does not make much sense. SBU chief Gerashchenko said after the release of their infamous video at Krasnodon later ¨corrected¨ to Luhanks) the Russians would probably destroy the platform altogether. So now you claim that you not only spotted the ¨inique truck¨ in rebel area but the murderweapon as well. Who does the official story explains the stupidity of the Russians? Why didn´t they destroy evidence which could point at them? And why did the Russian generals let the perps play Russian Roulette with a stand-alone BUK TELAR? Or did they give assistance in targetting a western civilian plane? What is the story about lacking motive and displayed irrationality (again) here, sir? And do you think it makes sense when a Russian officer with a lot of experience has conversations on a contaminated communication line owned by the enemy? Is screaming ¨BUK! !¨ the obvious thing to do or explains the official story this with a staggering amount of stupidity too? The only place where you can identify some of the details of the Buk launcher in these “3 videos and 4 images” is the Paris Match photo. > How big is the chance a different Buk missile launcher is transported on a red low loader hauled by a white Volvo truck on/around the same date? Assuming the truck is the same, are you saying it’s impossible for the truck to pick up a Buk somewhere near Torez, move to that area, film it with Buk, then go back, unload it, then move the truck 100 km through rebel territory empty-handed from Torez to Lugansk, then pick Buk without a missile near Lugansk, go into some part of it controlled by Ukrainian forces and make a video all at the same day? (Lugansk video looks like it was taken in the evening, giving plenty of time.) Torez and Snizhne are practically right beside each other. Again, you base this on Paris Match photo? > The Paris Match photo probably is taken from a driving car, which would explain the bad quality. This is not even about bad quality. This is about the cabin of the truck looking good, and Buk vehicle looking everywhere out of place. Not to mention the absolute nonsense under Buk wheels, and the fact that this “photo” appeared only on July 25th, released by Paris Match with a history of photo manipulation, not naming the photographer. No, no suspicion at all when taking everything into account. The idea that it’s a still from a video doesn’t pass the visual checks. And such a video, if existed, would have been on YouTube at the same time the other videos or photos were. > The Russian Buk was on the internet, yes, but it still took more than a month before anybody discovered this. You mean before anyone that you know discovered it? If it was on the internet before, then the one who crafted the image could have easily used it and bend it the reverse way that bellingcat did in one of the articles. The buks in Donetsk, Snizhne and Lugansk are not part of the evidence presented by the ukrainian security services two days after the downing of mh17. The ideia that separatists/russians would travel through a 400 thousand inhabitants city Lugansk with a missile launcher that has no cover after shooting down mh17 is ridiculous to say the least. So we are left with buks in Torez and Zuhres. Torez photo is another “clever” fake too. Photo is provided by SBU, no more pictures emerged taken by locals and no person is to be seen, thus avoiding any possibility to be identified and proven to be false. Also witnesses say they so no buk there. again, conflicting time when the video was taken and a strange account. I wonder why the original video is no longer available. Because all your photos come from the SBU!! Andrew, may I ask you something over email? I’ve twitted my email address to your Twitter ID on May 16. Or you can PM your email through Twitter after following me (I’m in your followers list already). @Daniel how did you decide the alleged photographs that Ukrainian intelligence gave you of BUK’s are real and not fakes. German intelligence have concluded some were manipulated. What method did you use to confirm they are not fake??? Yet there is no evidence of either of these two pictures being manipulated. Some people suggested that these are not pictures, but frames from a video. Which would explain the fuzzyness but also suggests that there is a LOT more evidence that we have not seen yet. How did you decide they were not fake? You don’t have the original and you don’t even know who took it. Great investigation, thank Bellingcat. Of course we already knew they sent the BUK to the thug separatists but it becomes ever more hard to deny. Well of course they will, that’s what totalitarian, paranoid and cynical regimes usually do; create an alternate reality and blaming all that’s wrong on the other. So the propaganda will probably continue, as will the trolls posting pro putin crap. It won’t help the poor families, children and other innocent people who died so tragically that day, but at least their loved ones get some closure. Although the people really responsible for this crime will probably never have to face justice. Keep up the good work. Pierre, why do you say that “the people really responsible for this crime will probably never have to face justice.” ? Because they are, if the Russian military was involved in the shootdown, in Russia, followed orders, and are backed by the current government. You think Russia will extradite them to the Netherlands after they gave orders? That makes no sense. If it were just “thug separatists”, who shot down MH17, why wouldn’t Russia extradite them ? No, because they are the Ukr president and the prime minister supported by our leaders as it seems Ukraine is “democratic”. This is why the real investigation group would never publish autopsy results to prove what was found in bodies. This is why they would never publish that nothing was found on site in terms of BUk remains. THis is why the US would never release satellite images of the area in question. Pierre, why do you believe that “they sent the BUK to the thug separatists “, while the evidence suggests that the Russian military was in control of this BUK at all times ? Did Bellingcat ever asked ParisMatch about who gave them the pictures ? It´s proven that they didn´t shoot them theirselves ! And Bellingcat know that (or should know that). Another question : Do you think about ukraine@war as a reliable source ? And please don´t call me a russian Troll – I´m from Germany. Yes, we know who took the images: a freelance journalist who send them to Paris Match. We are, however, not going to provide a name or contact information, since: 1) the journalist does not want that, 2) the journalist is not going to provide any further information. Nice! These Paris Match pics were initially located as being made near Shizhne, whereas they actually were made near Donetsk (70 km’s apart) and now we’re being told the photographer wants to stay out of sight and he won’t provide any further unformation. Yeah, right. And you want us to perceive these photo’s (or dashcam video stills?) as authentic and trustworthy? So Paris Match lied again ! That does say “TEAM OF PARIS MATCH” or is something being lost in the translation?